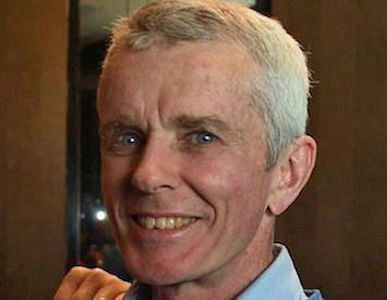 Pauline Hanson's One Nation Senator Malcolm Roberts says he is "choosing to believe he was never British" (image via abc.net.au). The s44 fiasco has already taken decent Senators but forcing Roberts out to be replaced by Hanson's sister is hardly democratic reform, writes John Passant. THE AUSTRALIAN political class is in crisis. The neoliberal consensus of the last 34 years between the two major parties appears to be ending. The Labor Party is becoming Jeremy Corbyn "lite" and wedging Turnbull on a bosses' republic, equal love and other worthwhile social changes that don’t actually involve any redistribution of income and wealth from the rich to the poor. The biggie, of course, is worsening inequality. There are now an estimated 2.9 million Australians living below the poverty line. Real wages are falling, while the share of factor income going to capital is at record or near record highs. Labor has suddenly been talking about a fairer society. The Labor Party remains deeply wedded to concentration camps for refugees and asylum seekers. That suggests to me its newfound quest for fairness is a mirage. Brutalising "foreigners" has often been the first step on the path to brutalising the "enemy within" — workers. We shall see. The crisis engulfing Parliament is not, at this stage, being driven by workers in the streets and the workplaces fighting neoliberalism. Nor is the crisis being driven (not yet, anyway) by sudden global economic or financial collapse. It is being lit by Section 44 — an obscure provision in the Commonwealth of Australia Constitution Act. '(i) is under any acknowledgment of allegiance, obedience, or adherence to a foreign power, or is a subject or a citizen or entitled to the rights or privileges of a subject or a citizen of a foreign power'. What the provision appears to be about is stopping those who are influenced by foreign governments in formal citizenship, or other sense, from sitting in Parliament. It also stops Parliamentarians getting income from the government, presumably because they might be influenced or economically compelled by that flow of income to vote in certain ways. But teachers on leave without pay to contest an election are ineligible — seriously? The "foreigners are bad" theory underpinning the first part of Section 44 is a reflection of Australia’s racist and colonial history — a racist and colonial history that is Australia today. There is a certain irony in a racist provision in a racist Constitution undermining a racist institution like Parliament. Section 44 certainly has the potential to provoke a full-blown political crisis. The Australian has identified 21 members of the House of Representatives who might be at risk of falling afoul of Section 44 of the Constitution. Why are so many at risk? Because they were born overseas, or have parents or grandparents born overseas. Given more than 50 per cent of Australians fall into that category, it is not surprising some MPs and senators might be ineligible to sit in Parliament. The Turnbull Government has a majority of one seat, although it could presumably rely on independent and former Liberal Party member and Independent Member for Indi, Cathy McGowan, in confidence and other major votes. That slim majority for a few days looked as if it could become a minority if Liberal Julia Banks was, in fact, found to be a Greek citizen. It appears she is not, but who knows who will next win the lotto draw of "foreign allegiance". Rising Liberal Party star Senator Matt Canavan resigned from the Ministry but not the Senate when he found out he was an Italian citizen — apparently unbeknown to him, but not to his mum. Instead of Canavan resigning, the Government put their great legal minds together and will fight the case in the High Court. His excuse that mum ate his homework might convince some judges. On the other hand, going to the High Court might expose the story as being rather farfetched. How can a 25-year-old become an Italian citizen on the application of his mother? Something does not gel. Others are in the sights of some on the Left, including Tony Abbott and Pauline Hanson's One Nation Senator Malcolm Roberts. Even if these have validity – and although others disagree, I doubt it in relation to Abbott – using technicalities is not the way to defeat reaction. Let’s take Malcolm Roberts as a case example. Forcing him out of the Senate does not politically defeat Hansonism. In fact, it will only reinforce the victimhood status of the many reactionaries who support Hanson and her mad crew, and bring them closer together. It might also garner some support among people who are not politically active, and not actively opposed to the racism, xenophobia and climate change denialism of these right-wing nut jobs. In practical terms, if Roberts was ineligible, there would be a recount and number three on the One Nation ticket would be elected. He is currently on the road to being declared bankrupt and that would also render him ineligible to be a member when, or if, it occurs. In that event, number four on the one Nation Queensland Senate ticket, Pauline Hanson’s sister, would become a Senator. I fail to see how getting rid of Roberts and having Pauline Hanson’s sister replace him is a victory for the Left. We have already lost decent people to Section 44, such as former Senators, Scott Ludlam and Larissa Waters. The fight must be for a truly democratic Constitution — one which among other things recognises prior ownership and is part of a grand settlement with Aboriginal and Torres Strait Islander people in the form of sovereignty, a treaty and paying the rent. Let’s deepen our politicians' crisis – not with game playing with Constitutional technicalities – but by fighting against neoliberal policies and politics. Read more by John Passant on his website En Passant or follow him on Twitter @JohnPasant. It's renewable! Subscribe to IA for just $5.